ZINC - The important factor in athletic performance. Adequate Levels of ZINC directly affects athletic performance and strength development from training because it plays a primary role in anabolic hormone production. Research shows that having ample levels of Zinc in the body allows for more robust release of the 3 most important anabolic hormones in the body - Testosterone - Growth Hormone & Insulin - like growth factor 1 (IGF-1) Without these you will miss out on muscle and strength development from your hard work in the gym! 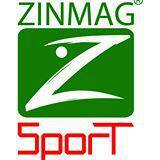 ZINMAG SPORT is the safe alternative to harmful testosterone based supplements and steroids and is fully accredited by INFORMED SPORT.